If you require information about test results, please telephone after 11.30 and speak to the receptionist. Some tests may take up to 7 days to come back, others more. To maintain confidentiality, test results can only be given to the patient concerned, unless specific consent has been given to share information with a nominated person. What can the receptionist tell me? The receptionists are only able to give limited information about test results, depending on what the doctor will have noted when they were received. If the doctor has commented that they are normal, the receptionist can tell you this. If there is a test result that requires urgent action, the practice will try to get in touch with you. Initially this would be by telephone, otherwise by letter. It is important for you to notify us of any change of your contact details. Why do I need to repeat the test? The doctor may request that you need to repeat a test, if they require further information before seeing you to discuss the results. Who should I see for results? 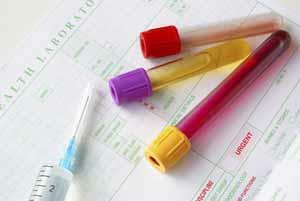 It is generally felt that it’s best to make an appointment with the doctor that requested the test.